Time is an invaluable commodity that all of us could use a little bit more of. Missed the bus to work because you wanted to catch five more minutes of “Z”s? Unlucky for you and the rest of our sleep-deprived nation, time and tide (and also brusque and impatient bus drivers) waits for no man. Fret not, here are three chronographs that lend a helping hand, in an effort to work towards a better lap timing to combat your tardiness. 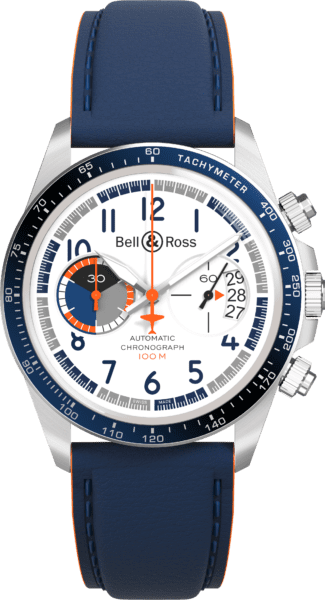 Heavily inspired by its aeronautical roots, the Bell & Ross BR V2-94 Racing Bird bears a striking resemblance to its speedster counterpart, the concept plane BR-Bird originally meant to dominate the boundless skies in air races. 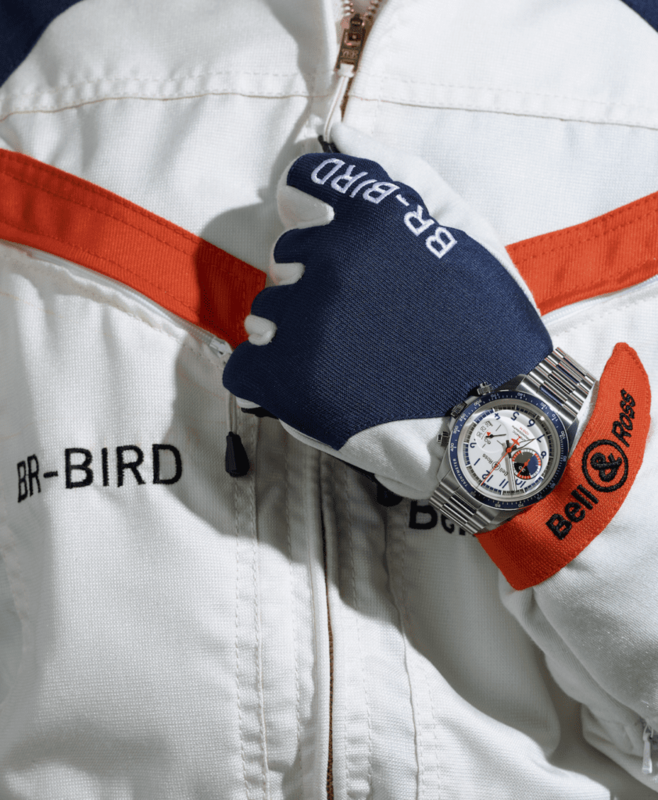 Aesthetic details like the numerals, bezel, chronograph counter and strap are blue, similar to the empennage and decorative elements tracing the aerodynamic lines of the BR-Bird. 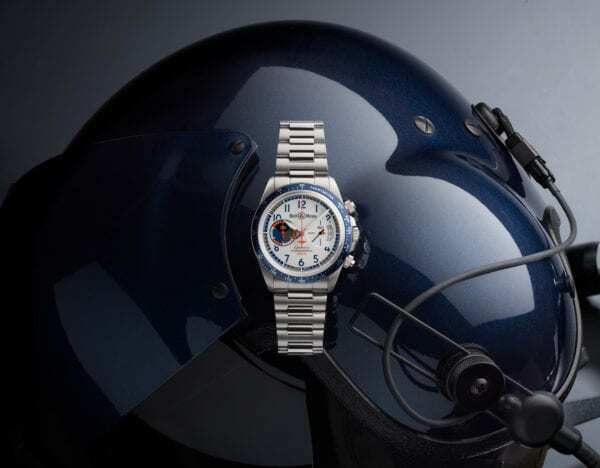 The timer is also grey, reminiscent of the chequered flag used in speed competitions, serving as a testament of the brand’s dedication to its aviation legacy. 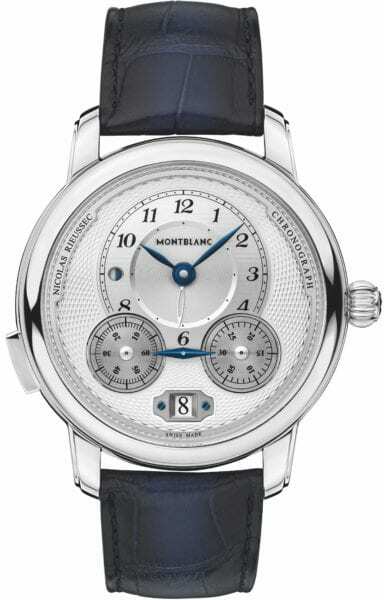 Embracing the spirit of classical watchmaking, Montblanc pays homage to the genius of Nicolas Rieussec, in the form of the Star Legacy Nicolas Rieussec Chronograph. Rieuseec’s success came in the form of developing an instrument to precisely measure the running times of individual horses at a horserace, an instrument which would later go on to be dubbed the first inking chronograph. 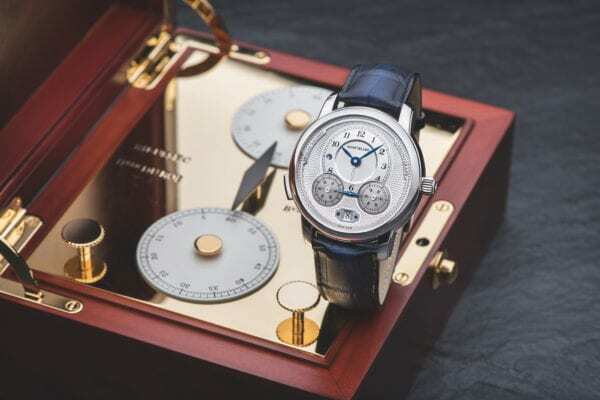 Now, its spiritual successor features a newly-designed, round case of 44.8 mm, curved finishing on the sides, and horns that have steps on the sides, reminiscent of rustic Minerva pocket watches. 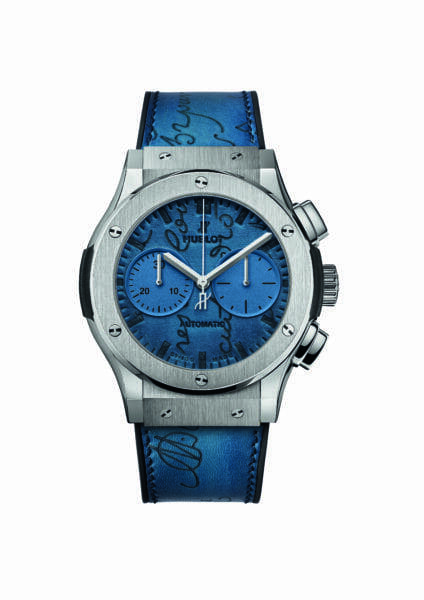 The chronograph also bears black Arabic numerals that have been slimmed down and surrounded by a railway minute track, while classic blued leaf-shaped hands complete the overall design. Measuring time does not get any more vintage than this, as a ring with the legendary Nicolas Rieussec inscription has been applied on the outer part of the dial. In a match made in heaven, Hublot joined hands with Parisian Maison Berluti to produce the elegant Hublot Classic Fusion Berluti Chronograph. 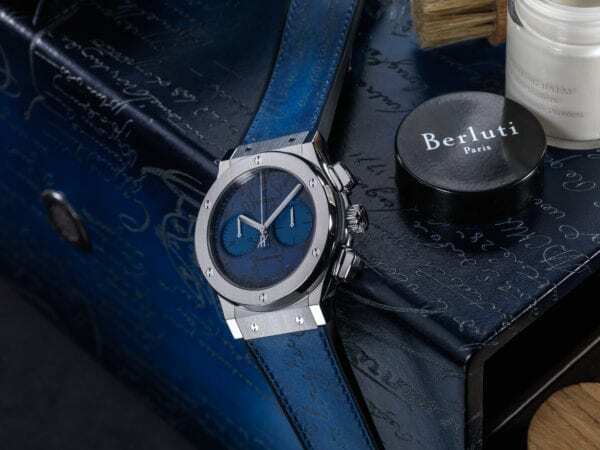 The watch sports the Venezia Scritto – Berluti’s trademark leather, serving as a stylish strap that fastens a case made with King Gold or titanium, the former material imbued with platinum for longevity. The duo also overcame the challenge of using a living material in the sealed casing of a watch. Through a complex and delicate process, the humidity that is contained naturally in the leather was neutralised, so that the Venezia Scritto could be encapsulated in sapphire, creating a leather strong enough to resist oxidisation. Time-telling need not be complicated when simple functions serve best. MARK THE DATE Calendar functions may be basic, but they ..
An explorer's reward is time spent outdoors. Wearing a wristwatch instils a sense of decorum at the theatre. Ward off misfortune and tell the time. 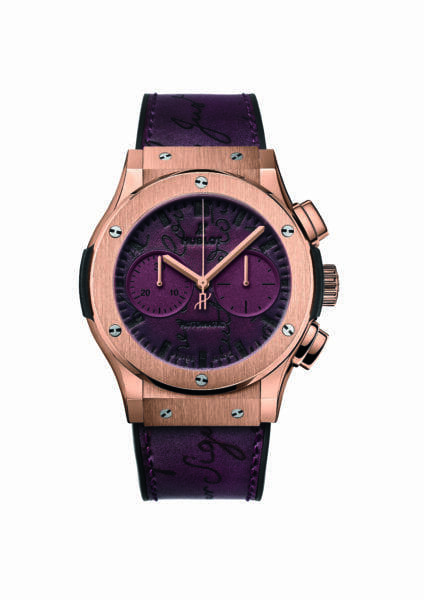 The beauty of watchmaking lies in its poetic history that births genesis stories of many horology houses. After all, the devices t ..